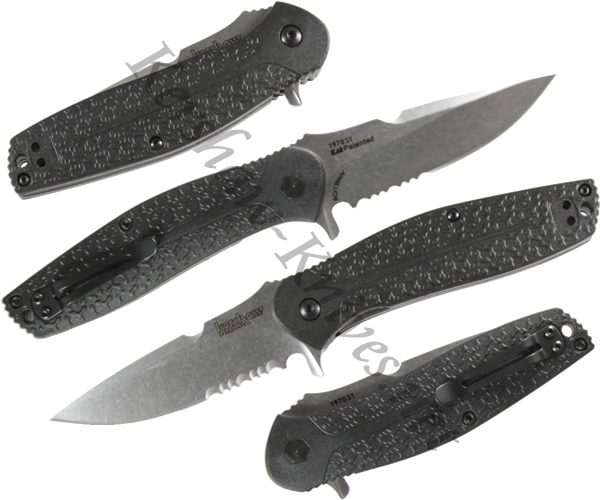 A flipper located on the spine allows users to quickly open the partially serrated blade of this Kershaw Burst 1970ST knife. A liner locking system ensures that the blade is safely secured while in use. 8Cr13MoV steel is used for excellent strength and edge retention. An injection molded glass reinforced nylon handle provides a solid gripping surface. The reversible pocket clip allows you to carry either left or right handed.